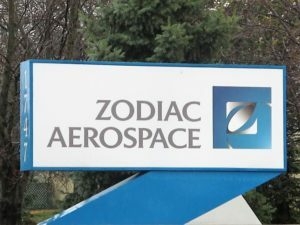 Phil Gregory with WBGO Public Radio (88.3 FM, Newark) recently visited Zodiac Aerospace Evacuation S ystems in Wall Township, NJ, which makes safety products for aircraft, to find out how the NJBIA Basic Skills Workforce Training Program has helped keep company employees well-trained and productive. Two of the company’s products, an inflatable escape slide and inflatable rafts, were used to help save all 155 passengers and crew aboard the “Miracle on the Hudson” Airbus A320 in 2009. “The company in Wall sells 65 percent of the evacuation slides put into new planes. Their products were also in the movie ‘Sully,’” Gregory said in his report, adding that those slides are used about once every two weeks somewhere in the world. The Basic Skills Training Program is available to all New Jersey employers whose taxes are paid up. The NJ Community College Consortium for Workforce & Economic Development manages the program, which is funded by the NJ Department of Labor. Training is provided by the state’s 19 community colleges, including Brookdale Community College, which provides training for Zodiac Aerospace.